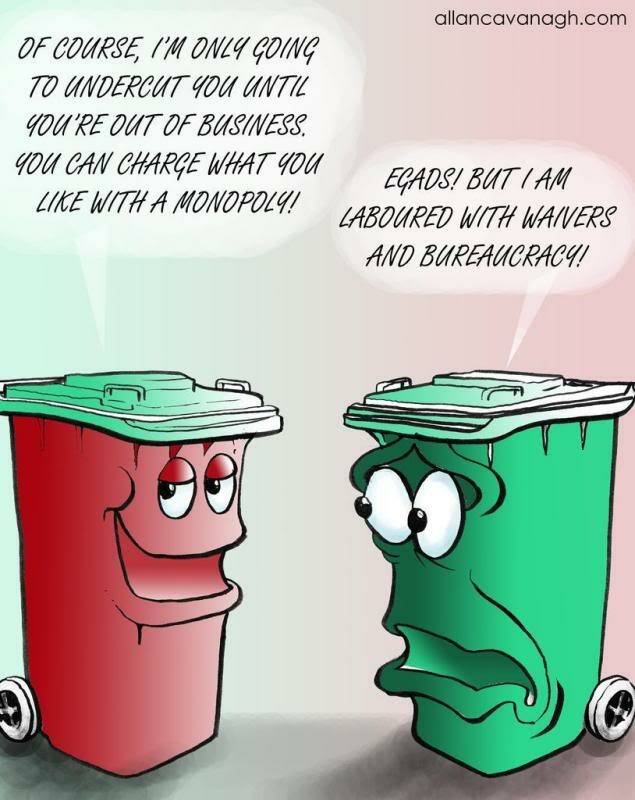 This week’s cartoon is about a very hot topic in Galway at the moment: the exodus of City Council refuse customers to the private firm The City Bin Co.
My Generosity Knows No Bounds…. 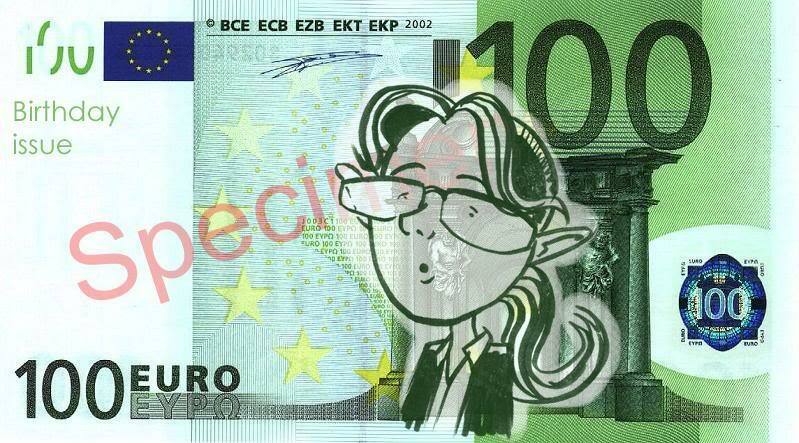 …Well, it’s not many people that have their own currency drawn up for their birthday, is it? That’s the great thing about caricatures– they make great last minute birthday presents! Considering I only found out it was my friend’s birthday about two hours before I saw her, that’s not bad going! I thought it looked quite good, despite the rush (and in case you were wondering, she works in a bank). Oh, and Happy Birthday Karena! And just for good measure, here are a few more from the SPAN Conversations hosted by the Southside Partnership in Dublin. 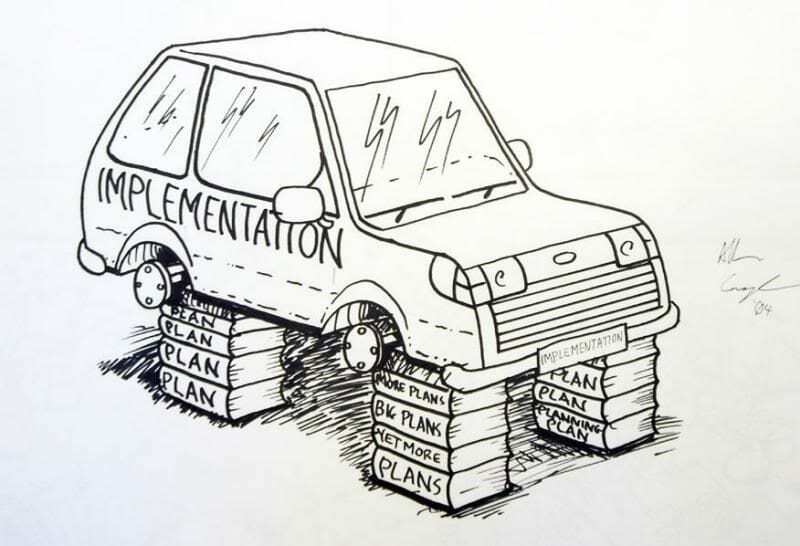 Implementation cartoon: this is one of the older ones from the SPAN meetings I was involved in visual minuting, but it went down especially well- I think many of the delegates at the meeting identified with it! 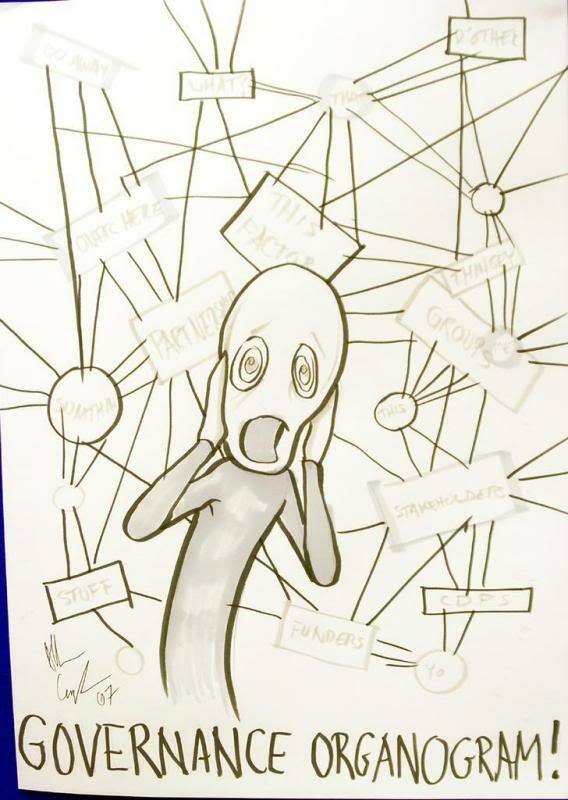 See more visual minuting cartoons from this project here. 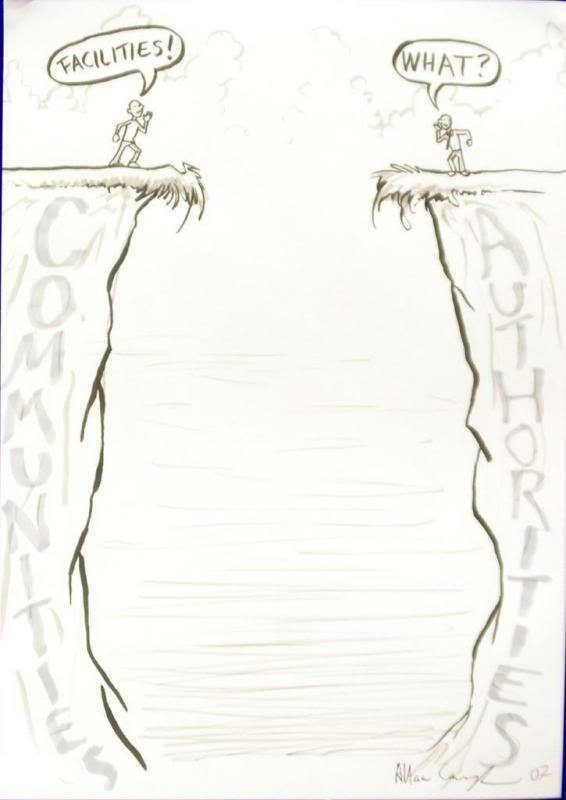 Here are more cartoons from the recent SPAN Conversations, hosted by the Southside Partnership. The meeting was held in the Davenport Hotel, Merrion Square.